The David Sylvian that fronted new wave pop band Japan wore luminescent hair and glam make-up; on the cover of his solo debut, 1984's Brilliant Trees, he was stylish and refined, a gentleman popster. But the illustration that introduces 2003's Blemish sends a different message: he's bedraggled and unshaven, his far-off expression turned haunted. 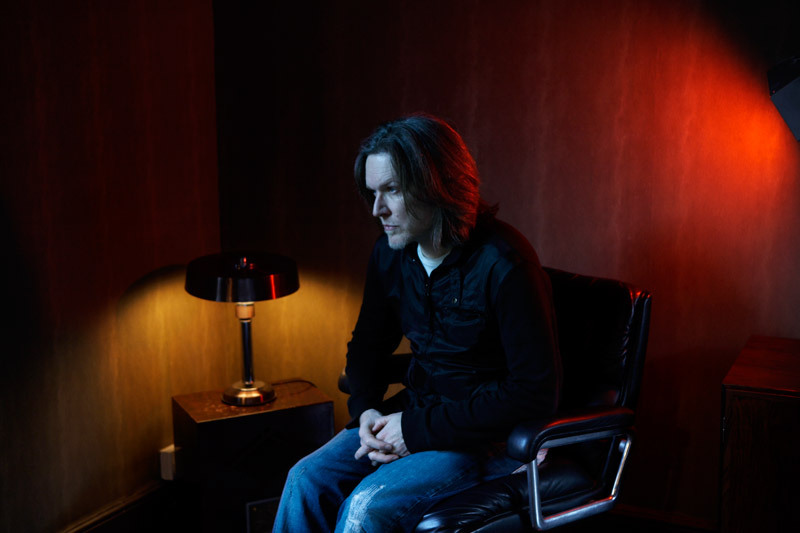 The new millennium has seen a more serious Sylvian, several steps further along on his musical journey and seeking new sounds to explain new traumas. While Japan started off as one of many '70s New Romantic bands, they made an unpredictable break with their hit "Ghosts" – a searching and evocative single where spare rhythms and fleeting electronic sounds lay under Sylvian's smouldering tenor. "Writing 'Ghosts' was a turning point for me," Sylvian recalls. "So much of what we created with Japan was built upon artifice. With that song I'd felt I'd had the breakthrough I was looking for. I'd touched upon something true to myself and expressed it in a way that didn't leave me feeling overly vulnerable. In the coming years I'd forget about all notions of vulnerability, opening up the material to a greater emotional intensity. I knew that I had to find my own voice, both figuratively and literally." On his solo records of the '80s, Sylvian's explorations in music took him from the pop-funk, stylish jazz and windswept exotica of 1984's Brilliant Trees; the ambient landscapes and epic ballads of 1985's Gone to Earth; and the romantic orchestrations of 1987's Secrets of the Beehive. His collaborators included leaders of progressive music, from jazzmen such as Mark Isham, John Taylor and Kenny Wheeler to the rock and fusion guitarists Robert Fripp, Bill Nelson, and David Torn. All three albums married strong melodies to intricate atmospheres. "The details are what always interested me. And so I just began to spend more and more time on those details, until they came to the forefront of the material-textures and atmospherics. I began to elaborate on those more and more and push the rhythmic element a little bit further back." Other projects from that period included ambient works with trumpeter Jon Hassell and Can alumnus Holger Czukay, as well as a collection of photographic collages titled Perspectives, whose exhibition in Tokyo sparked the documentary video, Preparations For a Journey. Regular collaborations with composer and Yellow Magic Orchestra star Ryuichi Sakamoto yielded Sylvian's first international hit, "Forbidden Colours." In the early '90s, Sylvian embarked on a series of acclaimed tours with Robert Fripp, leading to their 1993 studio release 'The First Day' as well as their 1994 multi-media installation 'Redemption – Approaching Silence' in Tokyo's P3 gallery. This followed Sylvian's first foray into the world of art installations in 1990, when in collaboration with Russell Mills, Sylvian created the installation entitled 'Ember Glance (the permanence of memory)' also held in Tokyo. And 1991 saw the release of Rain Tree Crow, a Japan reunion under a different name. But Sylvian grew less prolific as the decade wore on, enjoying his new marriage to Ingrid Chavez and taking four years to finish 1999's Dead Bees on a Cake. As seductive yet eclectic as any of his prior work, Dead Bees included the hit single "I Surrender," where Sylvian crafts an eye-openingly beautiful vessel around his spiritual journey. 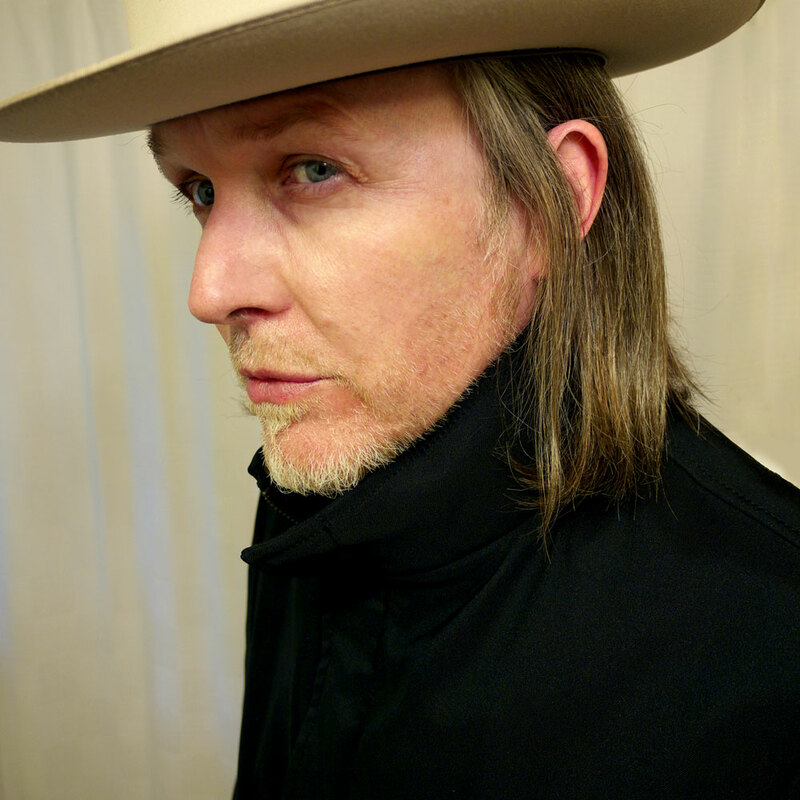 Immediately following Dead Bees on a Cake, Sylvian also released a retrospective of his work titled Everything and Nothing, a re-arrangement and re-evaluation of his career dating back to Japan. Sylvian's work with his spiritual teachers has led him through a rigorous process of study and self-examination. Says Sylvian, "I've never come across anything that is as pinpoint accurate as the message you get through the guru. You go through this process with other people who have common goals, you see them confronting their fears, the tests that they're put through, and you look at the manner in which they're tested and think, 'I could handle that.' But when the opportunity for you to learn from your fears comes along, it's like, 'Jesus Christ, give me any other lesson you choose, but not that one.'" His determination to confront his vulnerabilities led to arguably his most powerful album to date, 2003's Blemish. 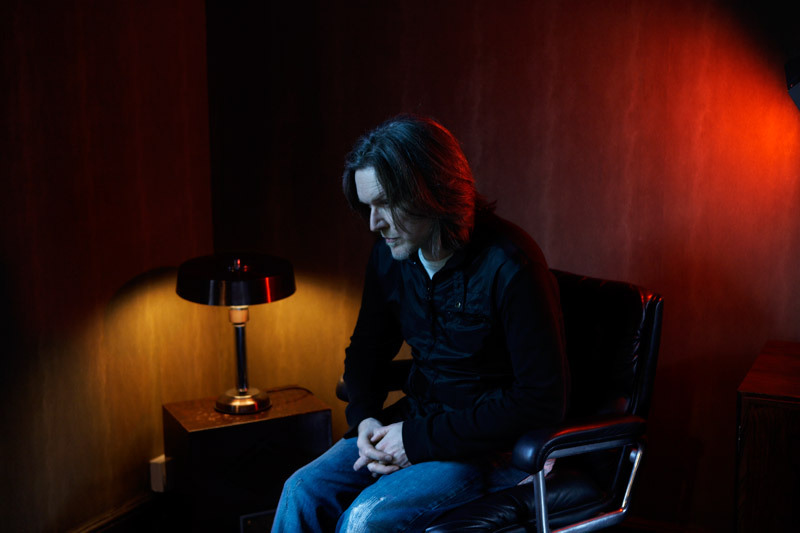 Recorded in his home studio in six weeks, with contributions received via the Internet from improv legend Derek Bailey and electronica artist Christian Fennesz, Blemish captured Sylvian in the process of breaking up with his wife. "I wanted to get into those difficult emotions, and penetrate them as deeply as I felt I was capable of doing, in the security of that working space. So although there were elements of my life that were bringing all these negative emotions to the fore, what I was doing in the studio was taking them further – whereas in life we try to restrain them, we hold them back. We don't allow ourselves to go too far with it because they feel dangerous, they feel threatening," says Sylvian. "Living through these emotions was very difficult, but finding a voice for them was so cathartic. After that six-week period, I'd felt I'd worked through some very difficult emotions. I felt an enormous amount of release." Blemish also marked the debut of his own independent label, SamadhiSound. "I think of [SamadhiSound] as being global, and not necessarily based in the States. It's stretched between the States, Europe, and Japan. I think nowadays it doesn't really matter where we are physically located. We create our own culture around us to a large extent, whether it's what we're listening to, what we're watching, what we're reading – it can have very little to do with one's immediate cultural environment. We are in a global culture in that respect." Samadhi has featured artists from around the world, including new releases by Sweet Billy Pilgrim, Harold Budd, Thomas Feiner, and David Toop, and the last studio recordings by Derek Bailey. This reach is also borne out in a remix album, The Only Daughter, where pieces from Blemish are reinterpreted by artists including Burnt Friedman, Sweet Billy Pilgrim, and Jan Bang and Erik Honoré. Most of the pieces on Blemish depart from traditional pop song forms, a process that began all the way back with "Ghosts" and that continues in his solo work. More recently, he has also released Snow Borne Sorrow and Money for All, an LP and EP from the band Nine Horses. Nine Horses is a trio that includes his brother and regular collaborator Steve Jansen and electronica artist Burnt Friedman, as well as contributions from singer Stina Nordenstam, trumpeter Arve Henriksen, and Ryuichi Sakamoto on piano. Alluring and urbane, the project's trip-hop textures belie its troubled lyrics, inspired by both personal affairs and world concerns. His single with Sakamoto, "World Citizen" – recently featured on the soundtrack to the film Babel – bluntly captures his concerns as a global artist living in post-9/11 America. "It wasn't my natural inclination to get into writing protest songs. But it was a request from Ryuichi to give it a bash. And I felt that there was very little dissent being vocalized in the States," says Sylvian. "I feel furious at what's being done in the name of the American people." In 2009, the project that began in Blemish continues with Manafon, an album that assembles the world’s leading free improvisers, including Evan Parker, Keith Rowe, Fennesz, Sachiko M, Otomo Yoshihide, and John Tilbury, among several others. In small ensembles, the improvisers create backdrops for the skeletal songs, and challenge the relationship between improvisation and composition, ensembles and lead voices, and intimacy and solitude. Lyrically challenging, it is also one of the most astonishingly and unpredictably beautiful works Sylvian has produced. With the release of Manafon, Sylvian continues to confront the challenges, both personal and global, that have enriched his work for three decades. And he continues to follow this path – with patience, perseverance, and beauty.